I’m not sure about you but I’ve always held this belief about cars with automatic gearboxes: easier to drive but thereby removing the thrill of driving. I’ve driven automatics briefly in the past but recently I had a chance to spend a week driving a new Ford Mondeo with an automatic gearbox. Ford’s Powershift automatic transmission is a dual clutch system, so essentially one clutch looks after the even gears, and the other clutch looks after the odd gears. That system helps to keep the gear shifts smooth and quick. But the concept is the same: there’s no change gear action needed from the driver! Any keen driver will tell you that there’s a lot of fun to be derived from changing gear: drop a gear before you hit the corner, ease off the accelerator and then as you are mid-way around the corner and feel the car finding its grip, accelerate the car out of the bend swiftly with the help of those higher rpms. So while the Mondeo handled the gear choice, rather than feeling peeved I found new joys. When I had to stop and take off again, say at a junction or when about to enter a roundabout, I saved time and could move off quicker because I didn’t have to keep slotting the car into first gear. You can’t stall an automatic! I made swifter progress in and out of roundabouts. Instead of fumbling around the gearbox trying to find the right gear to match my speed, the car did the hard work so all I had to do was observe, steer and pay attention to how much grip the wheels of the Mondeo had before judging how much welly to give the accelerator. It was a similar experience through the bends. Two hands on the steering wheel rather than one fiddling with the gear lever, I was focusing more on the change in grip I was feeling through the steering wheel, and using that to judge how much accelerator to use. The result was swift, smooth progress. Safer too. No excuse not to have two hands on the steering wheel (!!). Less thinking about the right gear, so more time to observe and watch out for what other road users are doing, especially in busy spots like on roundabouts, at junctions and in town. It’s pure bliss in traffic. 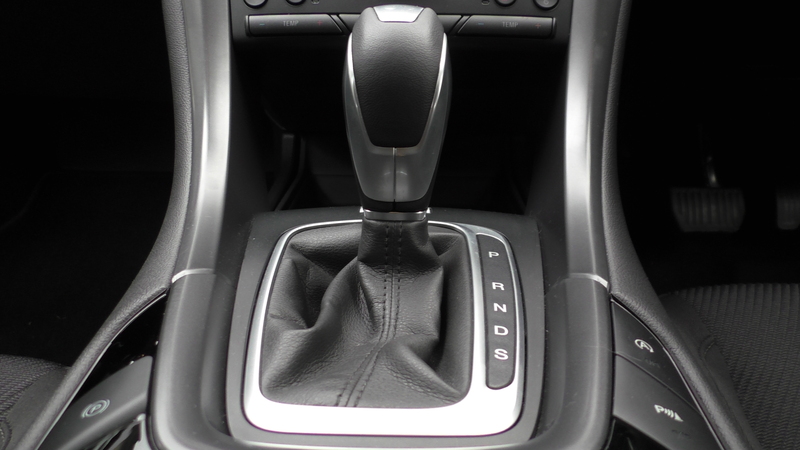 Driving a car with an automatic gearbox: it’s as easy as P R N D S! The more money you pay for an automatic and the negative impact on emissions and mpg is less hot, but my point is that driving an automatic doesn’t sacrifice a whole lot of fun! And it’s great if you are feeling lazy. Now where’s my autonomous car?